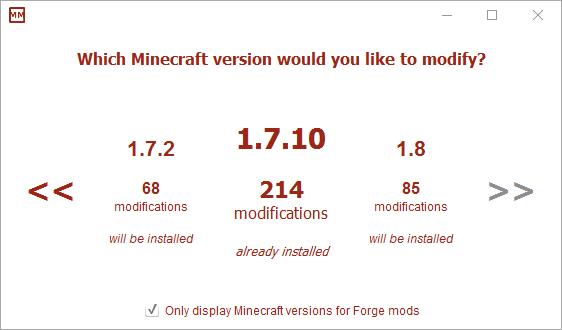 For Minecraft 1.11.2 - 1.4.5.
if they are not already installed. 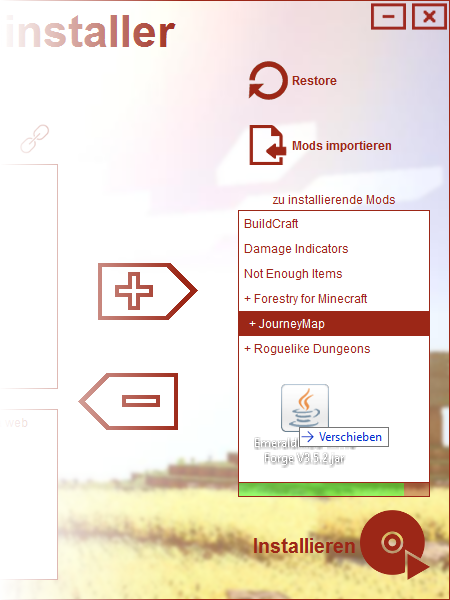 Without Internet connection you can import mods for installed Minecraft versions only. Find your favourite mods with the mod search. Enter e.g. "Itmes" and matching mods are shown. Click on a list item to learn more about the mod. You can install Forge or Modloader Mods with the tab above. The Minecraft version you can change with a click on it later. 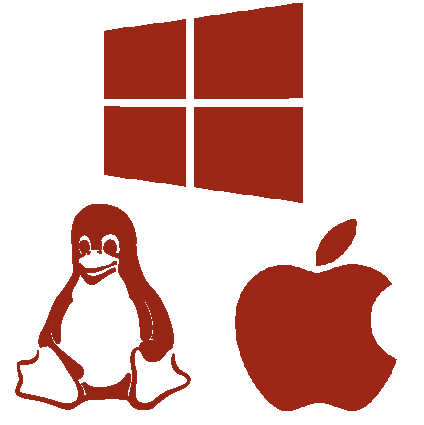 An English, detailed description with pictures, valuations, links to YouTube and to the mod developer helps you with your choice. Admire all mods in the FULL HD gallery (click on the mod picture). 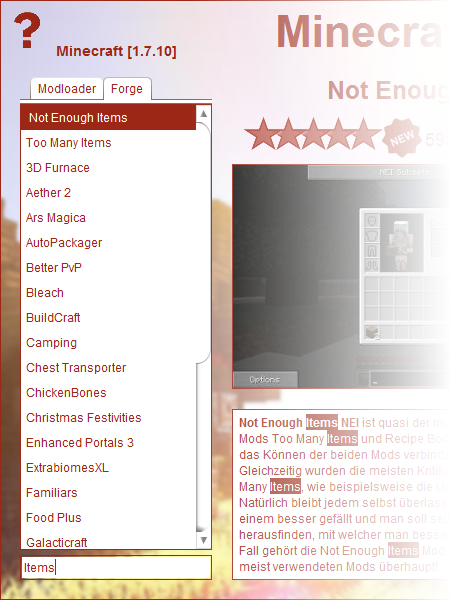 Install several mods at once by shifting the mods into the right list. The green-red bar under the right list shows you the probability if the selected mod combination will work. 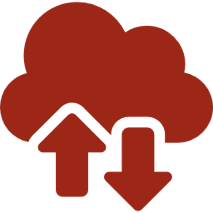 To import mods drag the JAR or ZIP file into the right list. You get some infos about the mod. 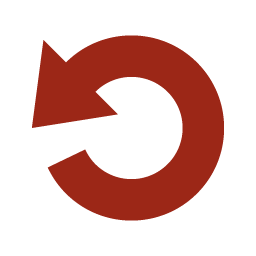 Restore the last installation of mods easily (Restore button). 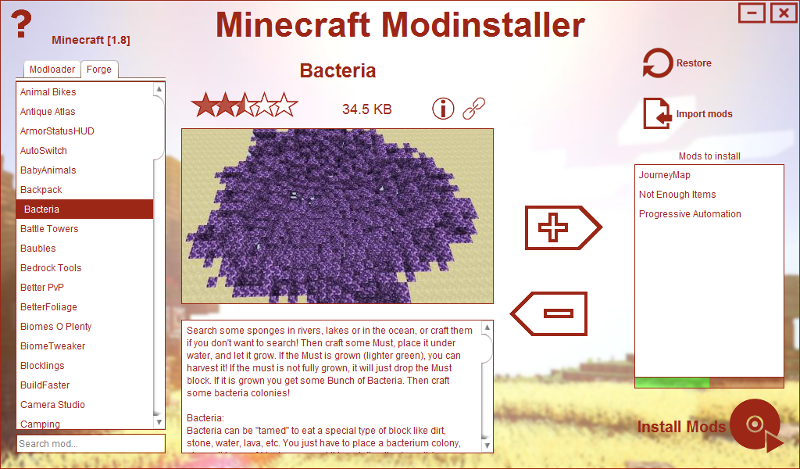 All selected mods, Minecraft versions and libraries are downloaded automatically and installed immediately. 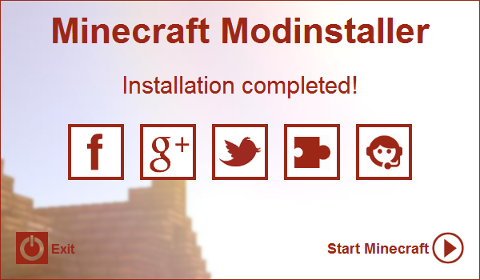 Start Minecraft with the profile and the Minecraft version "Modinstaller" subsequently.